Karen Norlander, has served special counsel to Girvin & Ferlazzo, P.C. since 1999, representing individual school districts in special education matters and supports the firm’s special education law practice through the development of training programs and preventive law initiatives. 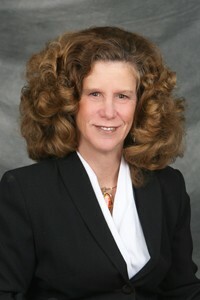 She also is counsel to the statewide Council of New York Special Education Administrators (CNYSEA) and legal advisor to the National Publishing Resources, for which she developed the first in a series of DVDs on Response to Intervention (RTI) and laminates on the Individuals with Disabilities Education Act and Section 504 of the Rehabilitation Act. Ms. Norlander began her legal career in Westchester County, where she served as general counsel to Student Advocacy, Inc., and represented families and children in family court matters. In 1989, Ms. Norlander moved with her family to Albany, NY to join the Office of Counsel as a managing attorney in elementary, middle and secondary education at the New York State Education Department. In 1995, she became general counsel to Statewide Youth Advocacy, Inc., where she wrote and lectured extensively on children’s rights issues and resumed an active practice in the family courts. Ms. Norlander has successfully represented school district in hearing, appeals, and litigation in cases involving children with disabilities and civil rights. Most recently, as a consultant to Southern Westchester BOCES, Ms. Norlander developed and delivered professional development training for administrators and professional staff responsible concerning the implementation of the Dignity of All Students Act. She has also taught graduate level courses at the College of St. Rose and the State University of New York at Albany, and has taught an undergraduate course at Russell Sage College. Ms. Norlander is a frequent presenter and faculty member at statewide conferences on matters involving students and educational entitlements.